Stylish reception desk design with chrome strip detail. 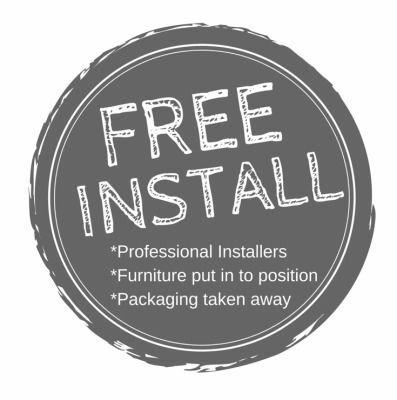 Manufactured in Italy and available on a 3-4 week lead time. This is a modular system with a number of variations available. 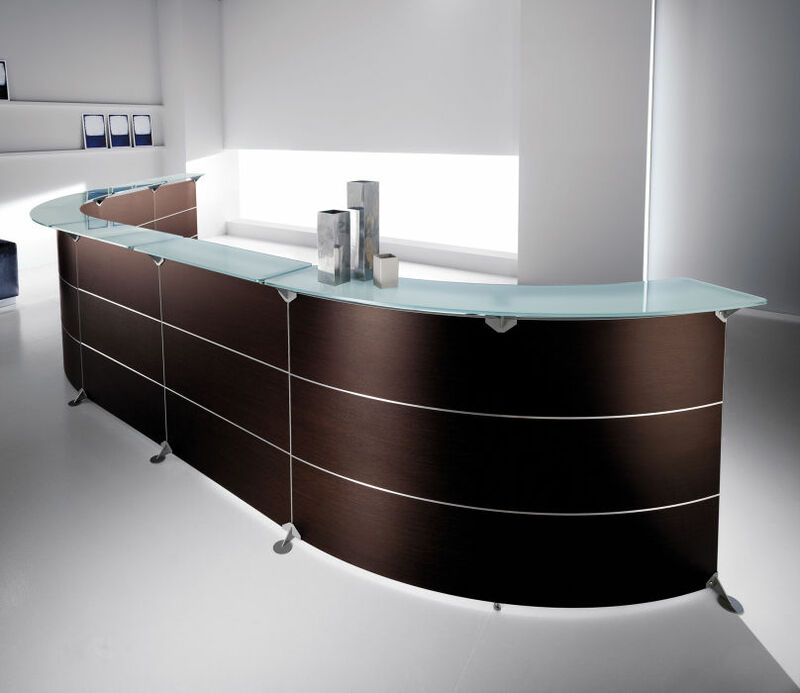 Edison reception desks are manufactured in Italy and are subject to a four week lead period. The counter tops are officered in satinised glass that had a faint blue tint. The counter tops can also be supplied in laminate finishes. 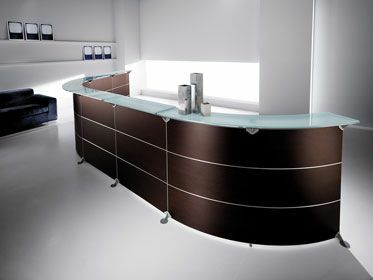 The reception desk fronts have chrome strips which give this reception desk and exclusive appeal. There is also a desk height module for easier wheelchair access and for DDA requirements. 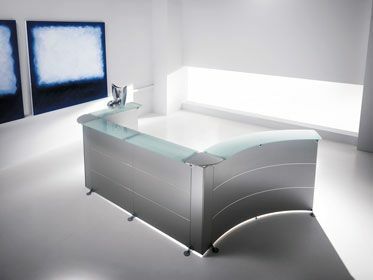 This reception desk has a three year guarantee and is delivered flat packed for easy assembly. We can install this reception desk for you for a relatively small additional charge. Edison is one of our most popular reception desks and our design department are very experienced in planning it. Please contact us for further information on the Edison reception desk.